It’s been quite a while since we last saw Sly Cooper. Insomniac’s trilogy had a home on the PlayStation 2, and was later ported to the current generation by Sanzaru Games. The successful endeavor spurred Sanzaru to approach Sony for permission to craft an original adventure, which Sony granted. The finished product is Sly Cooper: Thieves in Time, a game that hits all of the right Sly Cooper beats but doesn’t do a great deal more. Depending on who you are, this is both a good and a bad thing. At the outset of Thieves in Time, Sly has been dating voluptuous and dedicated officer Carmelita Fox, who believes that the thief is a changed raccoon. Sly, however, having feigned amnesia for the duration of their relationship, itches to get back into the game. He’s forced to do so when entire pages of text start disappearing from the Thievius Raccoonus–the thief guidebook that taught Sly everything he knows. 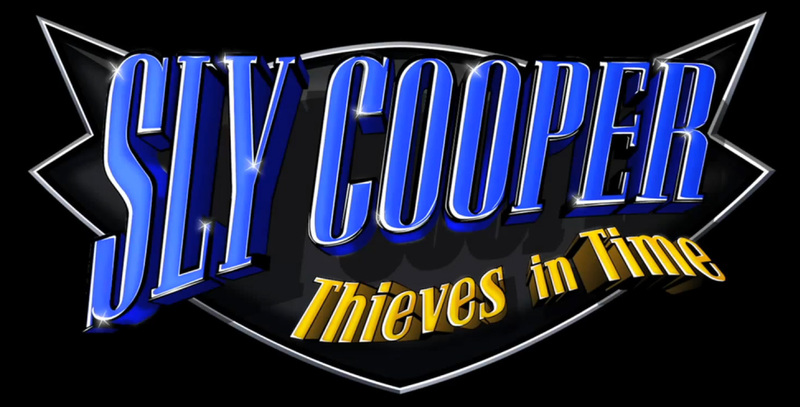 In order to locate whomever is trying to erase the Cooper family history, Sly and the gang must travel through time to find the villain bent on wiping on the Cooper clan from the past. In terms of raw gameplay, this is the Sly we’ ve always known. Cooper is the most oft-playable character, is speedy and limber, and stars in the bulk of the game’s platforming and stealth segments. Bentley, the wheelchair-bound turtle, is the brains of the operation. In combat, Bentley primarily uses a variety of bombs (employing fire, shock, sleep, and the like) and partakes in twin-stick-shooter sequences when hacking consoles. Murray’s appearances are simple brawling sequences, which are fun, but they’re occasionally plagued with sluggish controls. Carmelita rounds out the main cast with her ranged stun pistol, which is useful for engaging enemies at a distance, who may prove more troublesome at close range. The biggest change that comes to the new game is the time-traveling aspect. Each time period features a large open hub and a different Cooper ancestor with a specific unique ability used to traverse areas of the world that the rest of the gang couldn’t possibly reach on their own. These include leaping great distances and climbing otherwise unscalable walls. Additionally, each time period grants Sly a new costume that gives him a specific special ability. Unlike the ancestors, each of these stays with Sly, meaning that he can take them back to previous periods to replay a mission and reach a point that he could not have gotten to without the costume. Each costume has something to do with its setting, like samurai armor that deflects fire or a Robin Hood-looking suit that lets Sly fire a rope arrow to make a path. It’s fun to revisit old areas and make use of a piece of environment that was thought to be useless, as well as reach new areas and get that coveted 100% completion rating. There’s a surplus of surface-level variety here, with plenty to do and collect in the large open hubs that form the connective tissue between missions. Clue bottles, Sly emblems, and more lead to unlockable goodies and other treasures that will drive a collection junkie mad. Unfortunately, the missions generally recycle their formats, with only a small pool of meaningful variants. These range from simple platforming missions (which were a lot of fun for the most part) to horrible, irritating “follow” missions. The multitude of “collect 3 of these” missions got old quickly, as well. This lack of variety can, at times, make the game a bit tiresome. To be fair, there is the occasional mission that sets itself wildly apart from the rest of the game, and those do mix things up a little bit. Players may experience a great deal of charm via the multitude of mini games scattered throughout Thieves in Time. Unlike some of the story-mission types, these fun-sized distractions remain unique from one another. From a rhythm dancing game to a reflex-based whack-a-mole style game, the mini games always seem to break up the action in different and frequently hilarious ways, and while there were a couple of stinkers, the majority of them were excellent diversions. One of the most entertaining of these comes during a Rocky/Dodgeball-inspired montage of mini games that involve, among other things, dodging flying penguins. Indeed, the penguin punishment in this segment is extremely funny, and one of the highlights of the game. Certain parts of the script are equally funny, with a huge majority of the comic relief coming from Murray. Unfortunately, the rest of the dialogue and characters are only intermittently funny at best. Several lines, particularly from the main antagonists, fall flat, and only two of the five primary villains were amusing at all. Artistically, Thieves in Time will make you ask yourself why more games don’t employ cel-shading, as the design technique is used to magnificent effect here. It’s a little more polygonal than some other games with the same art style, but that doesn’t change the fact that the game is wonderfully vibrant, and the animations are creative and energetic. In the world of patches and post-release fixes, players are bound to run into issues at one point or another. In the case of Thieves in Time, though, I encountered one crippling bug about three-quarters of the way through the game. In a mission where stealth was mandatory, getting spotted by the guard would result in a mission fail, and the game would get stuck on the subsequent loading screen. This happened each time without reprieve, and would require a hard reset of the console. It’s an atrociously bad bug that utterly derailed the game’s fun factor every time it reared its head. Other minor glitches popped up occasionally, resulting in a character not grabbing a ledge when they were supposed to, inconsistently sticky bombs thrown by Bentley, or Sly getting “pulled” to the wrong perch point during a jump. None of these were game-breaking, and happened did not happen consistently enough to be a huge detriment to the game, but it would still be nice to see them fixed. Sly Cooper hasn’t changed much with the jump to this generation, which turns out to be both positive and negative. The series retains what you may remember fondly from the past games and manages to stay as charming as the old trilogy was when at its best. However, mechanically it may disappoint if you’ve played any platformers recently, as Sly is still stuck to the conventions of yesteryear. Charm can only take a game so far, and for diehard Sly Cooper fans, that might be enough. For everyone else, expect a fun but forgettable platformer. Sly Cooper: Thieves in Time was developed my Sanzaru Games and published by Sony Computer Entertainment. A PlayStation 3 copy was purchased by the editor for review purposes.